We design, build/manufacture, sell human movement efficiency improvement products to medical, fitness, industry wellness markets to and educate our customers regarding injury prevention, athletic development and fitness. Movement Guides uses inspiration from personal and industry leaders’ ‘front line’ experience in the fields of sports medicine & elite athletic performance training coupled with medically proven, researched based design to innovate, test, build and bring to market movement improvement products. As my physical therapy career was progressing, I continually noticed a common issue. Just about every patient I worked with could not squat with very good form, and the flaws that I saw in this movement pattern were just about the same in everyone. I soon found a really effective way to cue people into the correct position with my hands, but a few problems still existed with this method. I knew there was a way to create a device that could replace my hands but I didn’t have the means or connections to take that idea anywhere. When we moved to Eagle, I was looking for the best strength coach in the Treasure Valley to send my younger athlete patients to when they finished rehab. I came across Matt Wattles, who owns Competitive Edge Athletic Performance Center in Meridian, and I was immediately impressed with his knowledge and training methods. As we began to work together developing young athletes, I also learned that a friend of his, Darin Lawley, had fabricated most of Matt’s equipment. Matt set up a meeting, and Darin said he could have a prototype done in a few weeks. I could not believe my eyes when I walked into the gym and saw the SquatGuide for the first time. Soon after that, Movement Guides, Inc. was born. Our Knowledge, Expertise and Practical Experience is What Makes Us Different! Kyle is a physical therapist and board certified specialist in both sports and orthopedics. He completed a sports medicine fellowship at Duke University in the Management of Division I Athletes. He served as a physical therapist on active duty in the US Army where he cared for a Brigade Combat Team during a deployment to Iraq. His passion is in movement efficiency and maximizing everyone's potential to live life to the highest quality. Kyle is often sought after by high level athletes for strength and conditioning. He was the physical therapist and strength coach for cyclist Kristin Armstrong in the year leading up to her winning her 3rd gold medal at the Rio Olympic Games. Matt is a Strength & Conditioning Coach and owner of Competitive Edge - Athletic Performance Center in Meridian, ID. He has a M.S. in Exercise Science and over 25 years experience in strength and conditioning and nutrition as both an athlete and coach/trainer. Matt is a Past President of the American Society of Exercise Physiologist (ASEP), has published numerous articles in professional and research journals and been an invited presenter at national conferences throughout the country. He has founded two companies and owns 2 exercise and rehabilitation Patents. As a Strength coach, Matt has helped hundreds of athletes earn college scholarships as well as having worked with numerous professional and world class strength athletes. Darin is the teams Product Development Coordinator and Master Fabricator. Jay has more than 25 years of experience leading Human Resources and Operations to build successful enterprises. Jay has founded two successful companies and was a core growth team member at PowerBar, Inc., a global manufacturer of energy bars and nutritional foods with $150M in sales which was sold to Nestle S.A. Jay has been the leader of Boise State’s New Product Development Lab, the Director of Programs for the College of Innovation + Design and V.P./CLO for the Treasure Valley Family YMCA. Jay has led state and national initiatives to educate businesses in the process of accelerated innovation methods including Design Thinking and Innovation Engineering. Jay coaches leaders and teams to optimal performance. 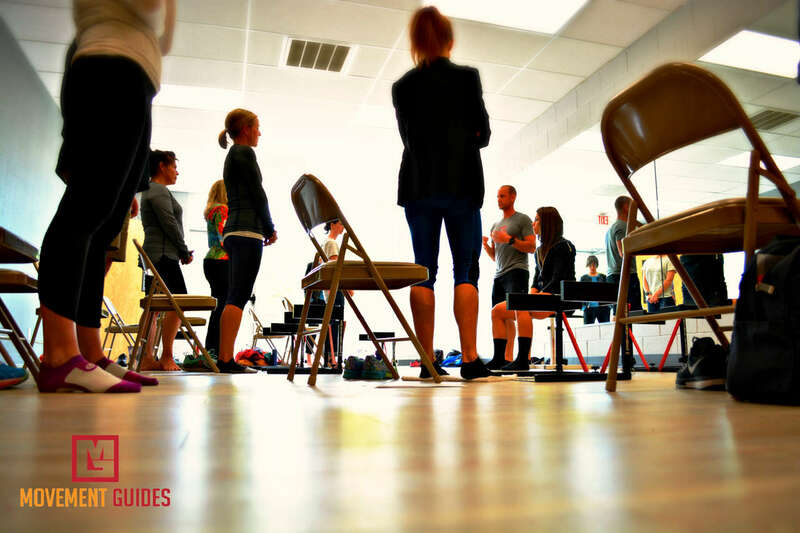 Movement Guides is looking for dynamic, self directed people to become part of our team.